Veronica and her husband, Ivan, are both in jail and awaiting death for the murder of her niece, Genny. Veronica and Ivan were granted custody of Genny while her mother went into a drug treatment center and her father spent time in jail for child molestation. seemingly to abuse. Jurors and policemen and others involved in the case tell tales of the most horrific child abuse they have ever seen. Genny was beaten, abused and starved before being boiled alive at the hands of Aunt Veronica and Uncle Ivan. 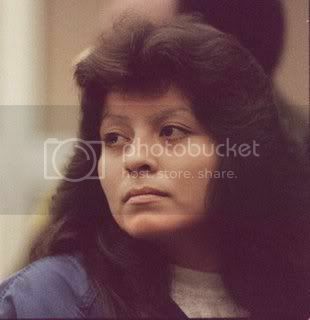 Veronica's death sentence was handed down in 1998. She is still sitting on death row and she maintains that her husband was abusive beyond imagining and forced her to comply.